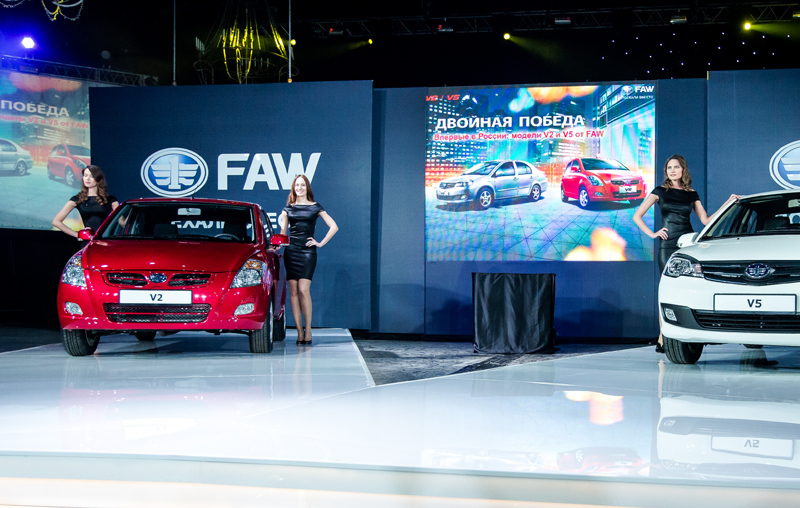 The FAW V2 & V5 Moscow Listing ConferenceWORK - Beijing Daoyuan Advertising Co., Ltd.
China’s oldest carmaker ‘China FAW Group’ has two new models for the Russian market and announced a wide expansion of the Russian market. 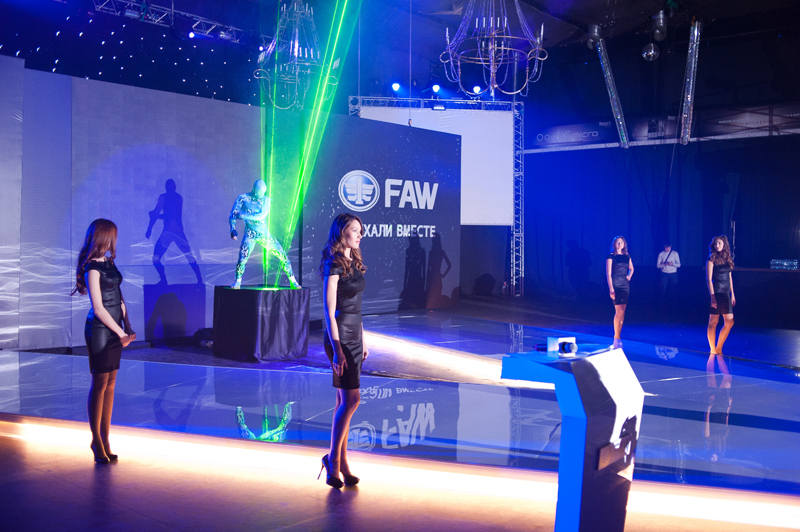 In 2013, the FAW Group started selling two new models in Russia: the FAW V2 and V5. 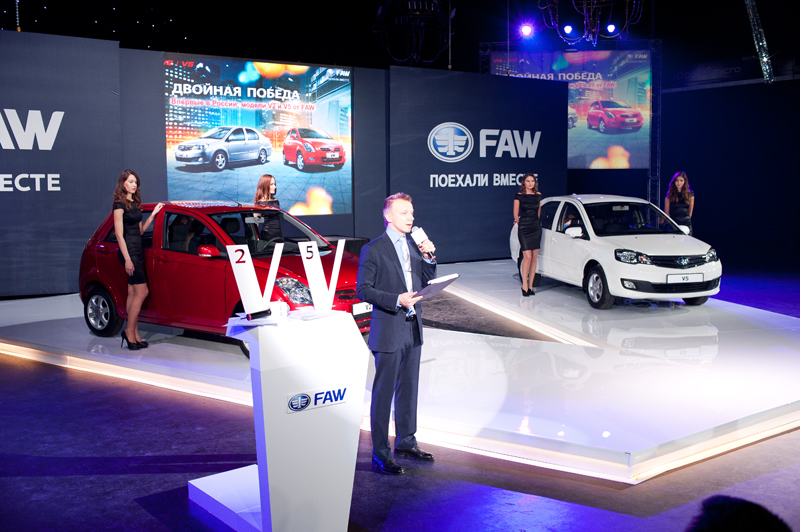 On April 3, they held a new car conference at the Arena Moscow Club. The Vice President of the China First Automobile Co., Ltd. Overseas Business Management Department, Yan Feng, came to Russia to attend the new car conference. 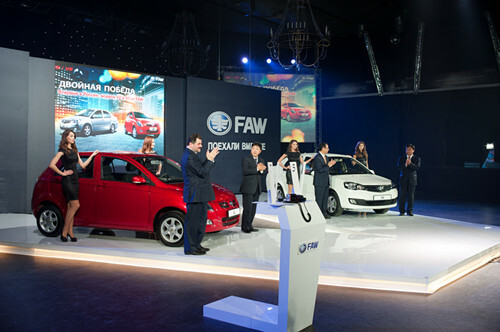 In his speech, he stressed that the FAW Group plans to find a valuable position on the Russian market through these two cars, but also that the new models are the essence of FAW’s 60 years of experience in the field of sedans. 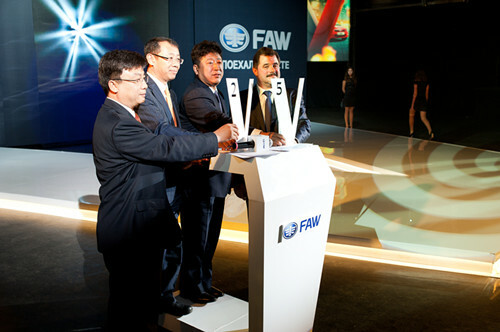 The first experience of the FAW Group was obtained with the help of Soviet experts, but they have now obtained a wealth of experience through cooperation with Toyota, Volkswagen, Audi, and other world-famous brands. The new V2 & V5 Sedans are the outcome of this extensive experience.